This article illustrates the home office brokerage activities needed for a real estate licensee to establish a home office and expense its costs. Real estate licensees often conduct important aspects of their business out of their homes, whether they rent or own them. Many use available space in their home in lieu of maintaining and paying the costs of a regular office. As a home office, brokers and agents are able to write off the costs of maintaining the home office as a business expense — an offset against their brokerage income. the use of the home office must qualify under one of three business activity standards. the indirect expenses, which are limited in amount to the percentage of the residence that is used as the home office. Direct expenses, deductible as a brokerage business expense, include the cost of decorating and repairs made in the portion of the residence exclusively used as the home office. The entire amount of direct expenses is deductible from business income without concern for the personal use of the remaining space in the residence. The portion of indirect expenses deductible as the licensee’s business expense is the percentage of his residence he uses exclusively as his home office. For example, a broker uses 300 square feet of his residence exclusively as his home office. The total area of the residence is 1,800 square feet. Thus, the broker’s home office consumes 16.7% of the total square footage of the residence. $900 in homeowner insurance premiums. The total amount of indirect expenses is $21,500. But if the broker is a tenant renting his home or apartment and using part of it exclusively as his office, can he write off a pro rata amount of his tenant expenses as a business expense? The broker as a homeowner also spent $1,800 for pool and landscape maintenance, $12,500 to remodel the kitchen and $500 for maintenance of a bathroom not located within the home office area. However, no portion of these expenses is deductible since they are unrelated to the business use of the home. Conversely, if the broker paints and refloors the home office area, the entire cost allocated to painting and reflooring the home office area is deductible as an expense directly related to the home office. But before the broker can deduct any of the home office costs as business expenses, the home office area must be used exclusively and regularly for his business. Consider a sales agent who uses a family room as his home office. His family also uses the family room to watch TV in the evenings. Occasionally, the room is used to entertain guests on weekends. One or two rooms, and possibly an extra bathroom, often serve as space for the home office. However, the area does not need to be cordoned off, partitioned or even have a separate entrance to qualify for exclusive use. In addition to the home office area being dedicated exclusively to business activities, the home office must also be used regularly by the licensee for conducting his business. Consider a broker who maintains both a home office and a regular office or desk space he rents in a nonresidential building. He works, keeps his files, conducts most of his real estate sales business and is assisted by a part-time secretary or team member at the nonresidential office. However, the broker uses an otherwise unused room in his residence as a home office in the evening four or five days each month just to catch up on work he is unable to complete at the nonresidential office, such as reading real estate journals and studying to earn his continuing education credits for his license renewal. Here, no deduction can be taken for home office expenses. The area used as the home office is not used regularly in the course of the broker’s business. The fact it is used exclusively for his business is not solely decisive since the exclusive use must be coupled with regular use. If the broker meets the exclusive and regular use tests, the broker’s activities carried out in the home office must further qualify under one of three standards of business conduct before he may take the allowable deductions. If the broker or independent contractor sales agent uses his home office to regularly meet or confer with clients, the deduction of home office expenses from brokerage income is allowed. 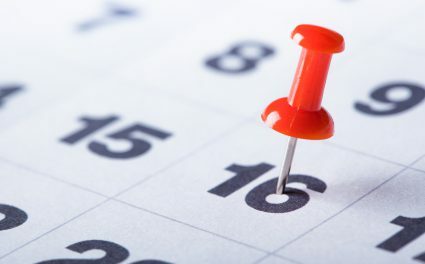 The licensee should document the client and affiliate conferences, whether they are in person or by phone, by keeping a calendar or log book showing the names of his clients, the date of each meeting with these clients at his home office or telephone conference from his home, and what they discussed or acted upon. The home office of a broker or agent located in a structure separate from the licensee’s residence also qualifies for the deduction of business expenses without the need for meeting and conferring with clients. Examples include a detached garage apartment, outbuilding or casita. If the licensee does not use the home office to meet or confer with clients, or the home office is not located in a separate structure, the licensee still qualifies for the home office deduction if he can demonstrate the home office is his principal place of business. For a broker or agent to qualify for the deduction of home office expenses based on its use as his principal place of business, the licensee must perform most of or the most important part of his brokerage activities while working in the home office. From a practical standpoint, it is unusual for a real estate broker or sales agent to spend all of his working hours of the business day and perform all of his business activities at his office, no matter its location. regroup after collecting information, investigating property and records, and meeting with others at their places of business in the course of his business. Thus, the question arises as to which place, among the locations used by the licensee to perform any business-related services, is the location of his principal place of business. The location of the principal place of business requires a comparative analysis of the importance and significance of the real estate services performed by a licensee at various locations. For criminal lawyers, the representation of charged or jailed clients is the entire practice. Thus, the location of the principal place of business may well be the court house or the county law library, where the services of defending the client and researching the legal aspects of the client’s case occur. Consider a self-employed broker who has no office other than his home office. He is claiming a home office deduction for the expenses incurred operating his office out of a portion of his residence, based on its use as his principal place of business. The broker calls clients and others to schedule appointments from the home office to provide his brokerage services. All listing agreements, purchase agreements, other contracts and disclosure documents are prepared or reviewed at the home office. All of the broker’s records and files plus his word processor (computer), fax machine and office equipment are located in the home office. However, clients are not met at the broker’s home office, but are met at their offices or residences, at restaurants or at the location of the real estate involved. Personal face-to-face meetings with clients are for reviewing the condition of the property involved (physical, title, operations, location and disclosure), the status of the transaction and documents, as well as obtaining signatures. 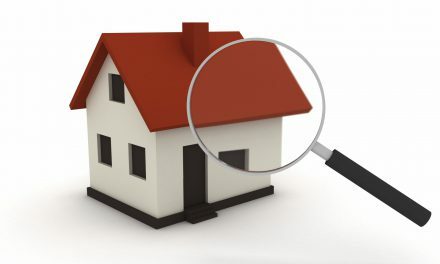 Other business activities conducted outside the home office include previewing property, attending marketing sessions and multiple listing service (MLS) presentations, and meeting with title officers, escrow officers, lenders, home inspectors, property management and maintenance services, government agencies and attorneys and accountants who represent clients. All of these activities are conducted at various places, but are arranged for and scheduled by conferring with the parties by phone from the home office. Does the broker qualify to deduct his home office expenses as expenses incurred at his principal place of business? Yes! The home office costs are allowed to be expensed based on the use of the home office as the broker’s principal place of business. The most important aspects of a brokerage practice are soliciting and coordinating client contacts, preparing agreements, analyzing disclosure statements, contacting affiliates and maintaining files and records, all of which are performed in the broker’s home office. Obtaining signatures on documents, inspecting property and meeting with others at locations outside the home office are essential, but not the most important aspects of the licensee’s business, nor the bulk of the time spent providing services. A licensee with both a home office and a nonresidential office can still qualify for the deduction of home office expenses. Consider a sales agent who maintains desk space in a downtown office with several other licensees, a space sometimes called a “cubby.” The licensees using the downtown office share its maintenance and operating costs, such as employing a receptionist, contributing to rent and paying for janitorial services and utilities for the premises. Alternatively, they may be renting desk space which provides these services. The sales agent pays a pro rata share of the costs based on his actual share of the space he uses. The office provides the sales agent with a “public” business address, a more professional place for meeting clients than coffee shops or the client’s office or residence. The sales agent also has a home office. All of his phone solicitations and contacts with clients and others while performing his brokerage services are made by phone, fax or email from the home office. All agreements and disclosure forms are prepared at the home office and all of his records, files and office equipment are located at the home office. Appointments to meet with clients or real estate affiliates, or to show property, are also made from the sales agent’s home office. He only uses the downtown office as a “window” to meet clients before showing property, confer with them in person and obtain their signatures on documents. Here, the sales agent qualifies to deduct expenses incurred at his home office from his business income. The importance of the activities conducted at the home office and the time spent carrying out those activities establishes the home office as his principal place of business. Now consider a broker who makes more substantial use of his nonresidential office than of his home office. The broker maintains an office downtown that he uses daily to solicit, make appointments and meet clients. He also arranges property inspections, escrows and title information, and prepares agreements and disclosures from the downtown office. The broker’s home office is used for his bookkeeping, maintaining his real estate library and studying. He occasionally phones clients, receives calls and reviews documents at his home office. He spends one or two hours most evenings working in the home office. Here, the broker’s use of the home office is insufficient to qualify the home office as his principal place of business. The most important activities — client contacts in person and by phone, packaging deals and preparing agreements — take place primarily at the downtown office. Although brokers generally work for themselves, sales agents always work as employees of a broker. Typically, they are provided a desk in their broker’s office. However, the broker’s employment and supervision of a sales agent, mandated by state law, do not limit the ability of the sales agent to qualify for the home office deduction. Taxwise, a sales agent must first qualify as an independent contractor with his broker before he can deduct home office expenses. For example, a real estate sales agent is given a desk in his broker’s office. The sales agent uses the office to meet clients and prospective buyers before taking them to look at real estate. Occasionally, he meets clients at the real estate involved instead of at the office. The office is used to review active files with his employing broker once each month. The sales agent also has a home office where he maintains a business phone line to solicit and confer with clients and to contact real estate affiliates regarding his due diligence investigation into properties and transactions he is involved in. He also prepares agreements and maintains all his records and office equipment at his home office. Here, the sales agent qualifies to deduct the expenses incurred in maintaining the home office as his principal place of business, even though he works for a broker and has desk space in the broker’s office. The sales agent uses his desk at the broker’s office only as a place to meet his clients. His meetings with the broker are administrative, not part of the services rendered to clients, but required for the broker to supervise the sales agent’s business conduct and file maintenance. However, the most important tasks of the sales agent’s real estate practice take place at the home office. Those tasks include preparing and reviewing documents, scheduling meetings and phone conferences with clients, customers and service providers — and preparing reports on his activities for his broker. Consider a real estate sales agent who uses his residence as his principal place of business. Each year, he writes off his home office expenses as a deduction from his sales income. The agent’s real estate business suffered a net loss during the past year. That loss included home office expenses. Of final note, the licensee’s cost basis in the residence, to the extent allocated to the percentage of the residence used as the home office, may be depreciated — over 39 years. This deduction is a recovery of the cost of the home office space, money already sunk in the property and not a current cash expenditure. On a later sale of the residence, the depreciation taken will be taxed at up to 25% rates, called unrecaptured gain.